Computer hard drive recovery can take anywhere from just a few hours to several days. It all depends on the computer malfunction and what is exactly wrong with the hard drive. 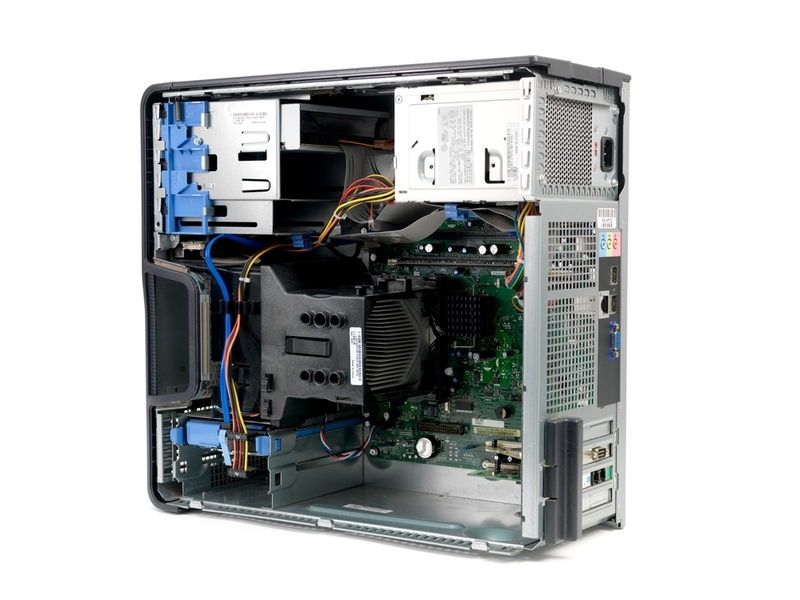 Desktop computers come with standard 3.5-inch hard drives, commonly called desktop hard drives. Laptop hard drives come in 2.5-inch size, more compact to fit inside the form of the laptop. CAN WE GET THE DATA? A common question we receive initially via phone conversation is “can we get the data back”? Typically, the answer is yes but not in all cases. Without looking at the hard drive a good data recovery company has approximately an 80% of success. The free of charge diagnostic we perform will help us answer a few more detailed questions we have ourselves. 1. What shape is the hard drive in? 2. What do we need to do as a computer hard drive recovery firm to successfully extract the data? The diagnostic gives us those answers. COMPUTER HARD DRIVE RECOVERY NO JOB TOO SMALL? Another common question we receive is do you recover data for individuals as well as business? Data Recovery Cincinnati LLC offers computer hard drive recovery for individuals as well as businesses. Currently, we are at a 60 – 40% split on breakout. 60% businesses and 40% individual consumers as a customer profile. Computer hard drive recovery come in mostly 2 fashions, laptops & desktops. Your typical desktop PCU which has a crashed hard drive. Or a laptop with a damaged hard drive. Laptop recoveries need a little more questioning as to what may have transpired to cause a cease in hard drive operations. Desktop computers are less apt to move around as much so typically drives will stop working for various reasons. Just normal wear and tear on a hard drive will cause malfunctions of logic or mechanical. 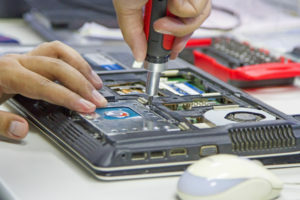 Laptops will have normal wear and tear along with human error such as dropping the laptop etc. Or something we see in both instances is weather related problems. Electrical disruption seems to be on the increase as of late. This can cause a hard drive to fail. Electrical disruption will in most cases require the need for advanced data recovery services. If you are comfortable removing the hard drive yourself, the process is not too difficult. However, in some cases certain computers are more difficult to remove the hard drive. If you need help a computer shop should be able to remove the drive for you. Typical charge for this process in Cincinnati is around $60. If you are comfortable removing a desktop hard drive but not sure how do the following: 1. Typical desktop PCUs have 2 screws in the back of the machine. Unscrew these two and slide the side of the computer shell off towards the back. In this example, side is now removed and the internal hardware is now exposed. The hard drive in this picture is at the bottom in the blue bracket. You can see the blue data cable along with the yellow, red and black power cable. Disconnect the two cables by unplugging them from the hard drive. The hard drive should then slide out of the bracket compartment. Laptops are a little different in removing compared to desktops. Laptop hard drive removal you will in most cases need to remove the bottom panel. Remove the battery first, then remove the bottom cover by unscrewing then removing the cover. In most cases the laptop hard drive is located in a corner of the laptop. Held in place by 2 to 4 screws. Unscrew hard drive then gently slide off adapter. See picture. Once you have successfully removed the computer hard drive. Please give us at Data Recovery Cincinnati a call at 513-338-9756. We will be happy to conduct a free diagnostic. Then perform a computer hard drive recovery for you. Get your data recovered from a crashed or failed laptop, desktop, USB, RAID or external hard drive. We also recover thumb drives, sandisk cards, optical media, removable media and many other data storage devices and media.